As a rule, the North Metro area is not known for condos, but many buyers look for a townhouse in Lawerenceville and especially condos for sale on Lake Lanier. 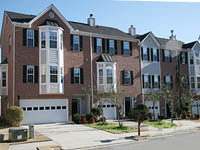 You can search our Buford MLS for condos in the below areas to find a condo or townhome. Unless you are looking for direct waterfront, remember that any condo in Buford, Lawrenceville, Braselton or nearby is within a very short driving distance to Lake Lanier. Great Lake View from townhouse! South End of Lake in deep water. Close to fuel, camping, fishing, food and Islands. Covered boat dock, and some condos come with boat slip. Newly renovated with fireplaces. Easy walk To lake/dock. Great Investment Properties! Large condos in walking distance to Lake Lanier docks, marina & City Park. Gas log fireplaces and covered garages. Located in the Gated Chatham Village. 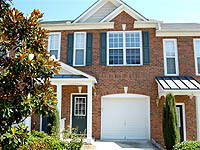 Community is within minutes of the Mall of Georgia and Hwy 985. 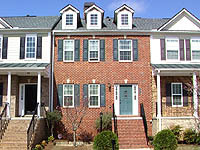 Chatham Village offers a quiet lifestyle in a gated "swim" townhome community. Units offer open floorplans, cathedral ceilings and many upgrades. Well kept, great neighborhood in great location. This is in a sought-after school district. Close To Mall of Georgia, restaurants, and I-85. There are a number of short-sales available in the Cove at Mill Creek. 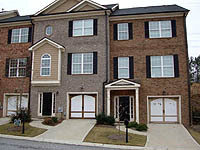 Townhouses behind Mall of Georgia, so close you can walk. Upgraded finishes, and new REO's available! Excellent Mall of GA Location, and in Mill Creek school district.